Our newest Salon of Shame shirt from our talented friends at Ink Knife Press is now on sale, just in time for our 13th birthday. This is a limited run of 100 – when they’re gone, they’re gone for good! 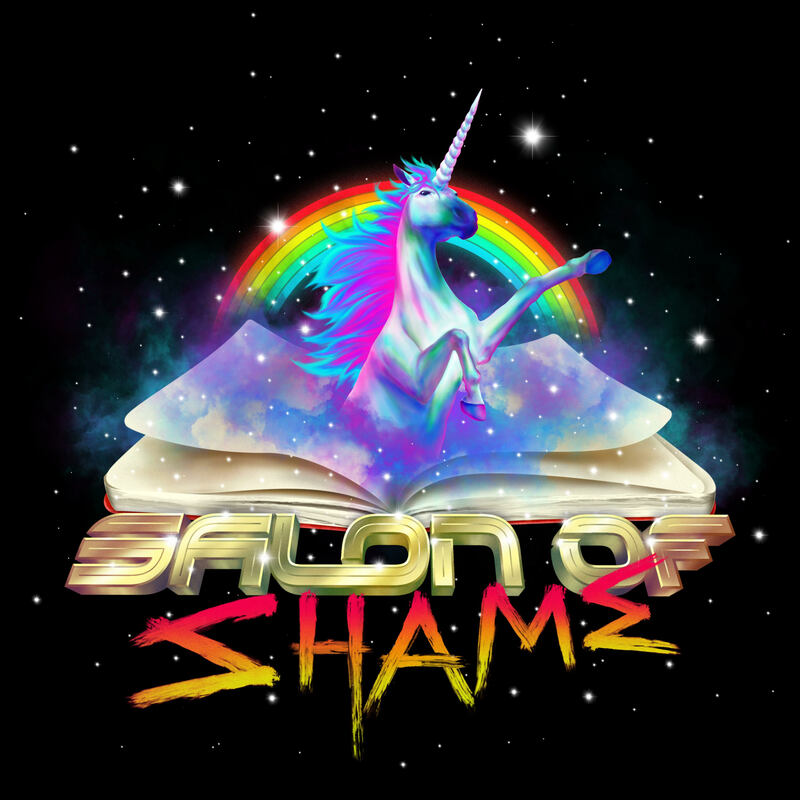 Shirts are $25 each via Venmo or PayPal – our payment address is merch@salonofshame.com. Check the size chart below, and be sure to tell us which one you need! All shirts are unisex style, made by American Apparel of 100% cotton. The XS and 3XL sizes are completely black. All other sizes are ringers with a white collar and cuffs.